For most visitors visiting London from America for the first time, if lucky enough and have a few days to spare there are normally a couple of must do items on their list of places to visit. One of them is Stratford-on-Avon, Shakespeare’s birthplace – the other is the ancient Druid site of Stonehenge in Wiltshire. 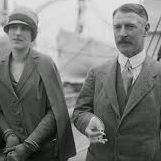 Over one hundred years ago, on the 21st September 1915, a wealthy barrister Cecil Chubb, entered an auction house in Salisbury Wiltshire, with his wife Mary, who had wanted her husband to buy her a set of curtains – instead he ended up buying something completely different - Lot 15 which comprised of the ancient Druid site of Stonehenge for the sum of £6,600. Chubb's wife Mary was reportedly less than pleased with the expensive gift, possibly because of the price which equated to as much as £680,000 in today's money. Cecil was said to have bought it on a hasty whim because he was worried it might end up being owned by a rich American! On 26 October 1918, 16 days before the Armistice ended World War One, Chubb passed Stonehenge into public ownership, via a deed of gift. The next year Prime Minister David Lloyd George recognised Chubb's generosity with a Knighthood and title, Chubb becoming Sir Cecil Chubb, First Baronet of Stonehenge. I think that Cecil had made the right choice in his unusual purchase. Imagine if an American had indeed bought Stonehenge and transported it back to the United States! It would have been curtains for his wife and the British World Heritage Site, which nowadays attracts millions of visitors each year. Is the information and enjoyment enough to donate towards our running costs?